It’s great to be widely recognised for our work achievements across website design and digital marketing. Here at Lowaire Digital, our team is extremely proud of our track record in developing and delivering innovative, reliable marketing campaigns and high-quality websites. All of our staff members at Lowaire Digital have obtained the Google Adwords certification and we are an approved Google Partner. This is a professional accreditation which Google offer to agencies who have shown a proficiency in Google Ads through performance, spend and experience. We are experienced in online paid advertising and have assisted many clients in improving their businesses overall visibility online through Google Ads and other methods. It is a long established fact that a reader will be distracted by the readable content of a page when looking at its layout. Due to the development of Virtual Nurse which has been developed by our team and provides voice enabled medical information to users. We are delighted to announce that Lowaire Digital have been ranked one of the top 50 most innovative companies across the region by Innovation 50 and an expert panel of judges. 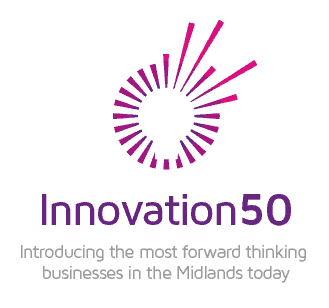 The Innovation 50 showcase and index the region’s fifty most forward-thinking companies who are changing technology and innovating the Midlands. We’re extremely proud to announce that Lowaire Digital has been awarded G-cloud 9 approval by the Crown Commercial Service. From today, organisations across the public sector including national and local government, health, education, blue light services, and defence, can purchase website design and development services through the Digital Marketplace, the secure online store available to UK public sector organisations. We are proud to announce that we’ve been awarded the digital outcomes and specialists 2 accreditation by the UK Government. Digital Outcomes and Specialists 2 is a dynamic style framework with the specific aim of helping the public sector buy, design, build and deliver digital outcomes using an agile approach, by procuring the appropriate specialist resource to deliver agile software development.